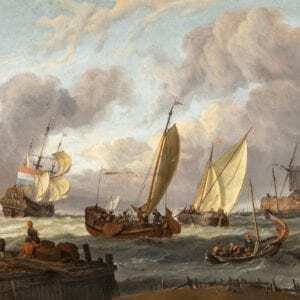 Spending his entire life in Amsterdam, his style shows the market influence of Willem van de Velde the younger and Ludolph Backhuisen, both prominent Dutch marine painters, whom Storck is believed to have studied with them. 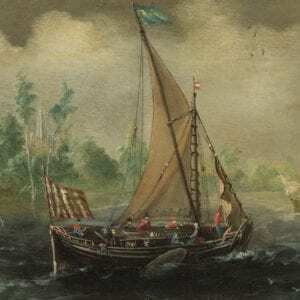 Abraham Storck was an exceptionally observant artist. 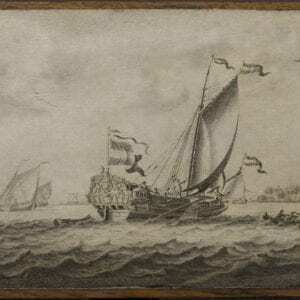 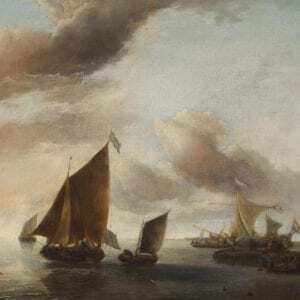 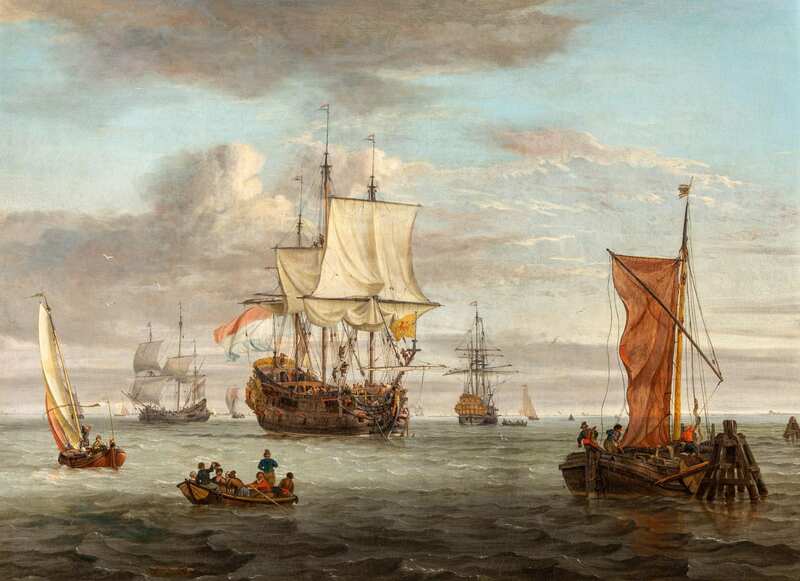 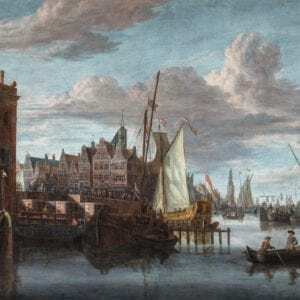 His favourite subject was the harbour of his native city and his paintings include detailed records not only of the harbour itself, but of the people, dress and ambiance of the \Netherlands in the 17th century. 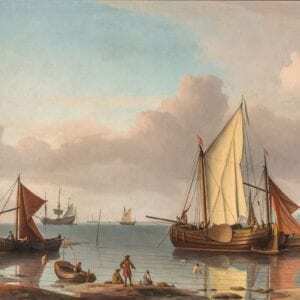 The paintings of Abraham Storck are superbly finished using luminous glazes in the style of Backhuisen. 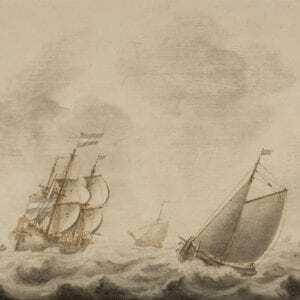 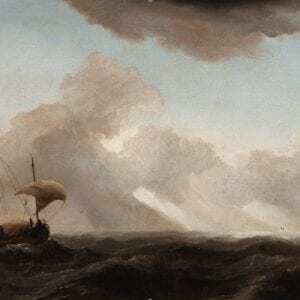 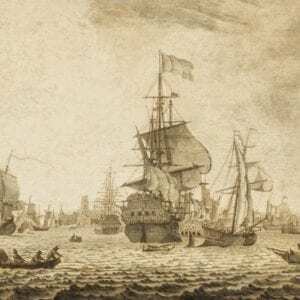 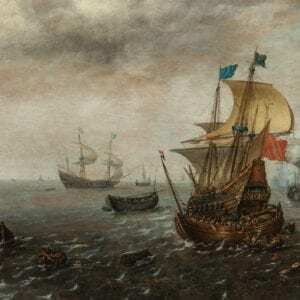 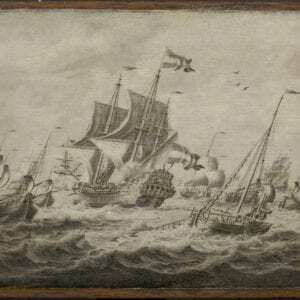 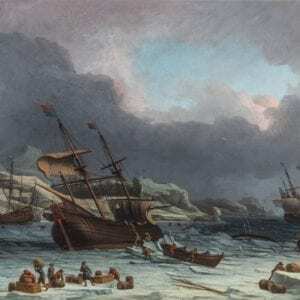 His understanding of the technology of the ships he depicted, whether Dutch or foreign, stands out as a vibrant record of the beginnings of the great age of sail.